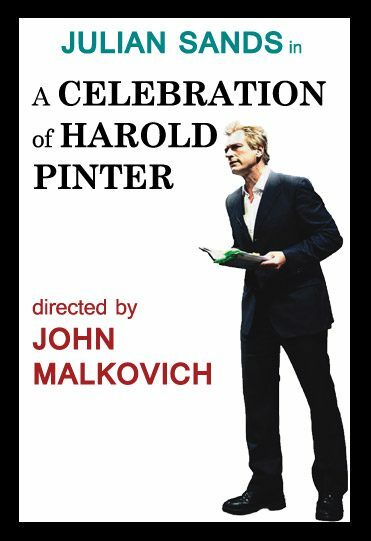 That’s the closing line to one of Harold Pinter’s poems, one of many you can hear, at extraordinarily close range, at the Irish Repertory Theatre where the British actor Julian Sands is celebrating the British playwright, poet and political provocateur in a space the size of a utility closet. Sands brings great passion to his subject; he befriended Pinter late in the poet’s life, and was clearly overwhelmed by his presence and disarmed by the difference between the person and often quite direct poetry and the often deliberately-veiled theatre for which Pinter is more famous. Did you wash the dead body? Did you close both its eyes? Did you bury the body? Did you leave it abandoned? Did you kiss the dead body? That’s very fine indeed. And Sands’s open enthusiasm – more, the level of commitment implied by an actor of his stature choosing to devote himself to mounting this piece in spaces like this – is thoroughly infectious. It’s very worth checking out. Tagged New York, theatre, poetry, Harold Pinter, Julian Sands, Irish Repertory Theatre. One Response to And F- You, Too! This is the best paraphrase of the risen Christ’s words to the Magdalene, I’ve ever encountered.